A stock dividend is a dividend payment made in the form of additional shares rather than a cash payout. It refers to the dividend paid to existing stockholders in the form of additional shares of common stock. Unlike cash dividends, it does not result in the cash outflows. In other words, it’s a payment of additional shares, instead of cash, to shareholders as a form of return on their investment in the company. 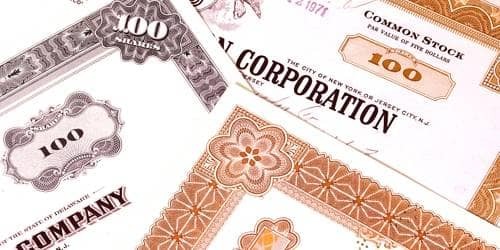 These dividends follow the same timeline as a standard cash dividend: date of declaration, record, and payment. The purpose of the stock dividend is to conserve cash in the firm so that it can be used in new projects. It involves simple bookkeeping transfer from retained earnings to the capital stock account. In theory, the market value per share should drop since there are now 5% more shares outstanding and the company is exactly the same as before the stock dividend. The stock dividend does not affect the equity position of stockholders; rather it represents a recapitalization of a company which takes place in the form of transfer of a certain amount from firm’s retained earnings to capital stock account. Stock dividend generally has no economic significance as it only results in a change in capitalization keeping total equity position constant. Stock dividend simply results into an increase in outstanding shares of common stock. In the above example, with a 20% stock dividend, there is an increase in outstanding shares of common stock from 100,000 shares to 120,000 shares.